Monero is an open source cryptocurrency that uses a special kind of cryptography to ensure transactions on its Blockchain are 100% unlinkable and untraceable. The cryptocurrency uses a public ledger to record transactions. Nicolas Van Saberhagen is the attributed creator of the underlying protocol, CryptoNote, which powers Monero. A Bitcointalk forum user going by the name ‘thankful_for_today’ under the name BitMonero originally launched the cryptocurrency. It was later rebranded as Monero. In 2014, the cryptocurrency came under attack as an unknown party exploited a flaw in the protocol, resulting in the creation of two sub-chains. The chains refused to recognize transactions on each other. CryptoNote, later on, released a patch to the flaw. The privacy and security of Monero received a major boost on January 10, 2017, on the adoption of Gregory Maxwell’s algorithm confidential transactions. The algorithm made it possible to hide the amount that people transacted on the network. Over 240 developers have contributed to the development of Monero Blockchain, including 30 core developers. The team constantly pushes the frontier on what can be done to improve on privacy and security. The digital currency uses ‘ring signatures’ and stealth addresses to ensure utmost privacy when it comes to the identity of senders and recipients. Ring signatures mix users keys with other public keys on Monero Blockchain to create a ‘ring’ of possible signers. It is thus impossible for other people to link a signature to a specific user. Monero mixes all coins used in transactions to help eliminate suspicion as to which senders and recipients are using them to send. Users also can keep their transaction history private. However, they can also choose to share them selectively. Stealth addresses are also generated from time to time to enhance privacy on the Monero Blockchain. Addresses are usually generated each time a transaction is carried out. Recipients publish a single address as transactions they receive. This way, it is impossible to link a particular address to a given transaction. Transactions carried out on Monero are confidential and untraceable. Every transaction prevents the seeing and receiving of addresses as well as transacted amounts as part of the network’s privacy measure. Monero is also fungible which means each individual unit of a currency in the network can be substituted for another. Simply put, each coin on the Blockchain has equal value. The untraceable nature of Monero coins means that no two coins can be distinguished from one another making them equal in the eyes of merchants. Monero is a Proof-of-Work cryptocurrency mined using computer power from a GPU or a CPU. Any computer can mine the digital currency, given that there is no ASICs for Monero. 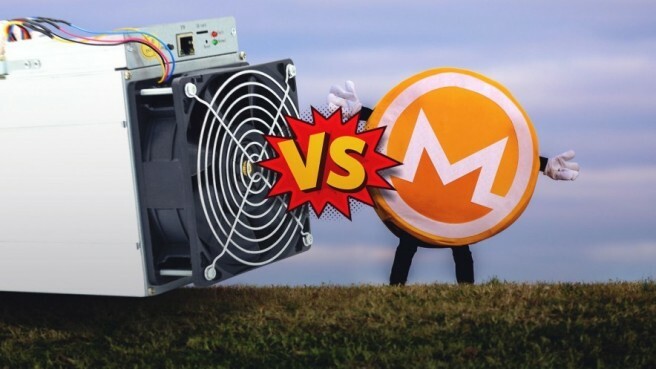 Mining Monero uses less electricity compared to other cryptocurrencies thus leading to lower temperatures and longer GPU card life cycles. The digital currency can be mined in a pool or as a solo mining operation. Pool mining is for people who don’t have enough computational power to compete with larger miners. Pool mining allows users to combine their efforts in a bid to maximize results and achieve a steady flow of income for all involved. Solo mining, on the other hand, is for people who have enough hardware and space to run a competitive operation. In addition to Mining, Monero can be bought using both fiat currencies and other cryptocurrencies in popular exchanges. Just like other cryptocurrencies, Monero is the subject of increased volatility and has seen its price spike to new heights as demand increases more rapidly than supply. The price should continue to rise as Blockchain grows in popularity since Monero provides users with a uniquely high degree of privacy and anonymity.